Mr. Reinhard Rodlauer is the founder and CEO of Rodlauer Consulting. Due to spinal muscular atrophy he has been using an electric wheelchair since he was 11 months old. Mr. Reinhard Rodlauer founded his consulting company in 2004 to promote the implementation of accessibility and its value for the economy of Austria. The company’s aim was to generally establish business consulting on accessibility and business efficiency in Austria as well as to take a step towards companies, operating businesses and institutions and to ease their dealing with this issue. 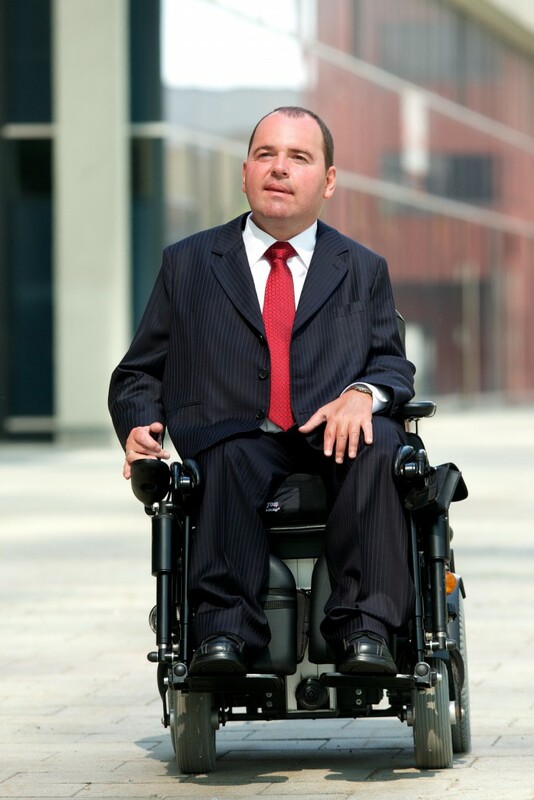 As a freelance expert, Mr. Rodlauer inspects the accessibility of buildings, services and products of companies and organizations and writes expert reports. On January 1st 2014 Mr. Reinhard Rodlauer was appointed lay judge at the Federal Administrative Court. With his business consultancy Rodlauer Consulting, Reinhard Rodlauer is sharing his experience and know-how in all matters of accessibility, inclusion and diversity across other businesses as well as institutions. … the goal to enable persons with different disabilities equal societal participation. …all persons can participate in social life equally to others. … reflects the variety of people with their differences and commons.